Print edition currently out of stock. 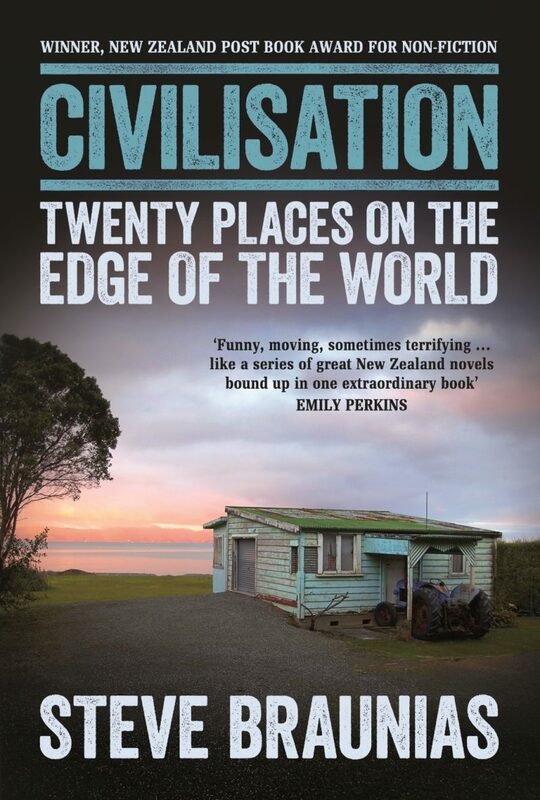 Civilisation is vintage Steve Braunias, the scavenger and social lodestone, rich, fascinating and occasionally disturbing stories of places from Kawakawa and Antarctica over the seas – and the people who live in them, their lives, loves, aspirations, and sometimes dark secrets. An exceptional New Zealand book, beloved by us all. At first glance, Civilisation: Twenty Places on the Edge of the World, by New Zealand journalist Steve Braunias, threatens to adhere to convention. But a closer read reveals a keenly attuned sense of self-awareness and an acerbic wit that underlie the gravity of Braunias’s largely empathetic (and brutally honest) reflections on New Zealand. This is one of those books that as you read it, you keep thinking how much you love it. Sharp, brimming with wit, and thoroughly entertaining.